As we explained at launch, the iPhone 4S and iPhone 5 have nearly identical cameras. The iPhone 5, however, does use a camera that’s 25 percent smaller, has a better low light mode, and a sapphire crystal lens. The smaller, thinner phone, obviously, translates to this need for a smaller camera, which is generally bad news. Still, reports thus far have been that the iPhone 5’s shooting quality stands up to that of the iPhone 4S. In fact, most reports say that most perceptible improvements between the two can be traced to the iPhone 5’s upgraded display, which is making its photos look that much better. In reality, however, the changes are barely noticeable. With the exception, of course, being the purple lens flare. Here’s a quick lock at the same shot taken with the iPhone 5 (at left) and the iPhone 4S (at right). 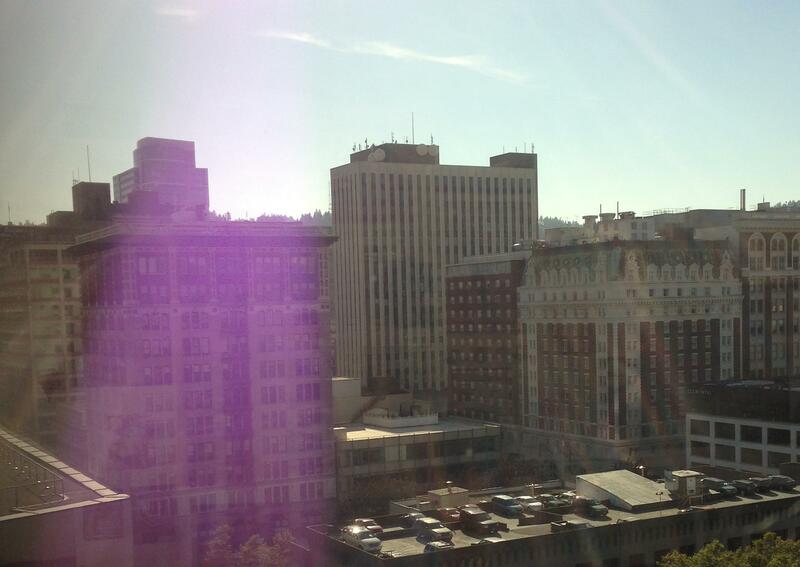 As you can see, the purple lens flare only shows up with the iPhone 5. While Apple says the issue can be blamed on the positioning, there’s speculation it might have something to do with the sapphire crystal lens – it certainly sounds like something that would create a hazy purple effect. Others suggest it’s the elimination of the infrared cut filter that’s causing what should look black or gray to turn out purple. There’s been ample conversation about other phones responsible for the purple flare as well, though the iPhone 5 has managed to really rouse the masses – as it should: It’s the hottest phone on the market, and the latest iteration of what’s arguably been the best smartphone camera yet. Apple’s “you’re doing it wrong” response isn’t going to placate upset buyers who were hoping for the next greatest pocket cam-meets-smartphone combo. Update by Jeffrey VC 10/10/2012: Consumer Reports has done some camera testing and concluded that Apple may be right, sort of. Its testing concluded that many digital cameras and other phones like the Droid Razr Maxx by Motorola and the Samsung Galaxy S3 display a similar purple lens flare (or haze). 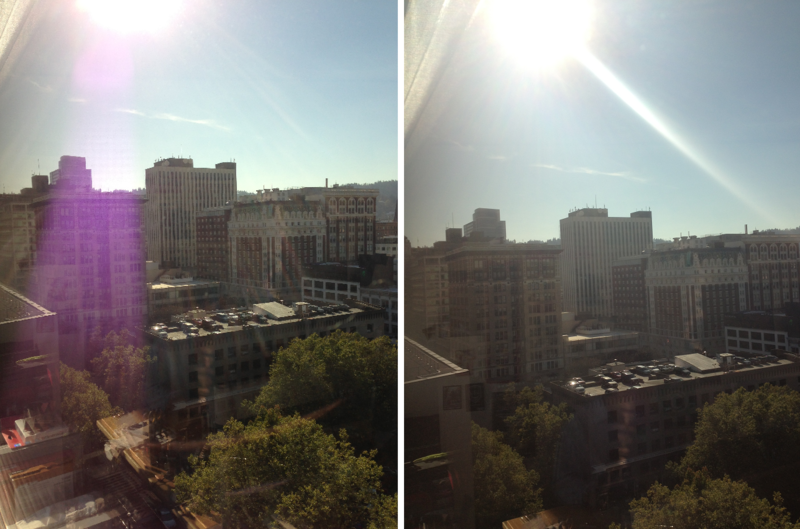 Though we produced no haze effect on the iPhone 4S (see the above pictures), CR found that the 4S also displays this problem most of the time.